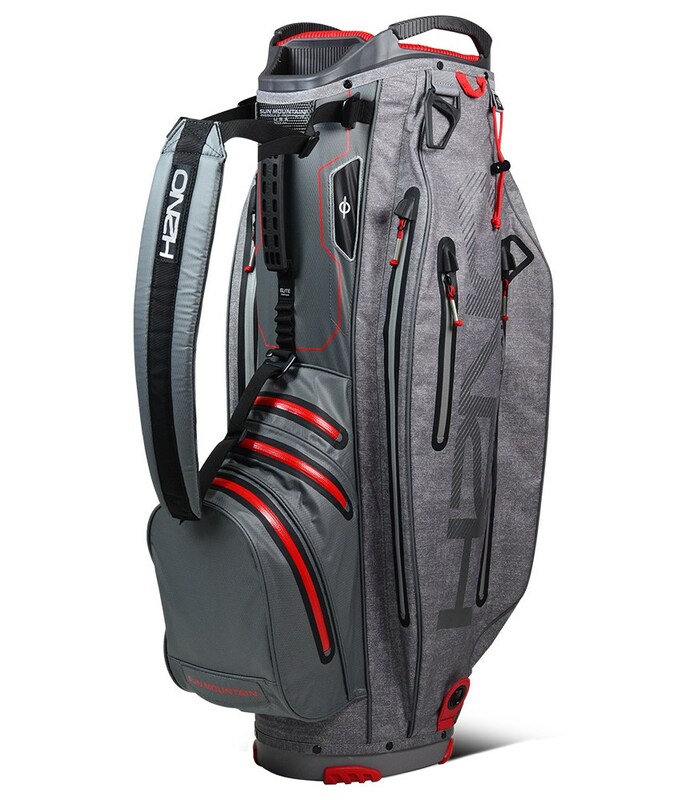 Sun Mountain have created the H2NO Elite Cart Bag to provide the golfer who prefers a tour style bag, with a great waterproof option. 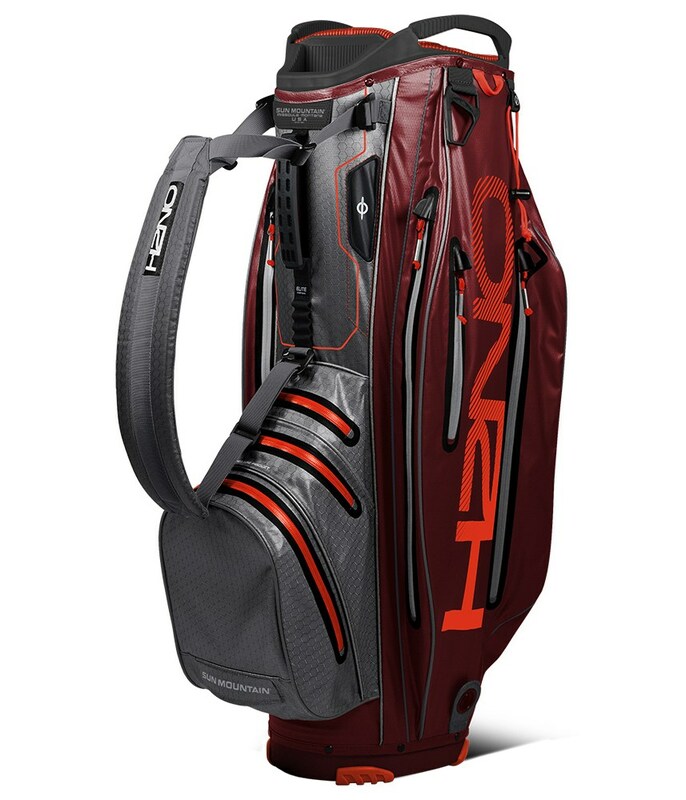 This is largest bag in the H2NO range, but don’t worry it is only 2.5kg when empty and packed with features that will provide incredible protection against the elements, plus maximum storage and excellent club management. 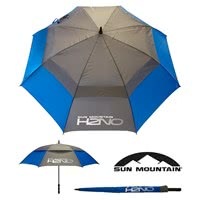 Sun Mountain have been making their H2NO range for many years and continue to use a nylon fabric with a 2000mm waterproof coating as well as a seam sealed design and premium water-repellent YKK zippers on all the pockets. 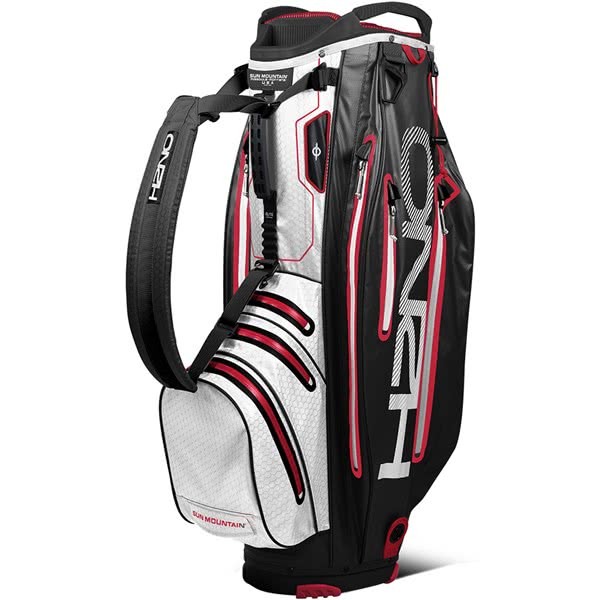 A super spacious 21cm, 15-way top features full length dividers for excellent club management. 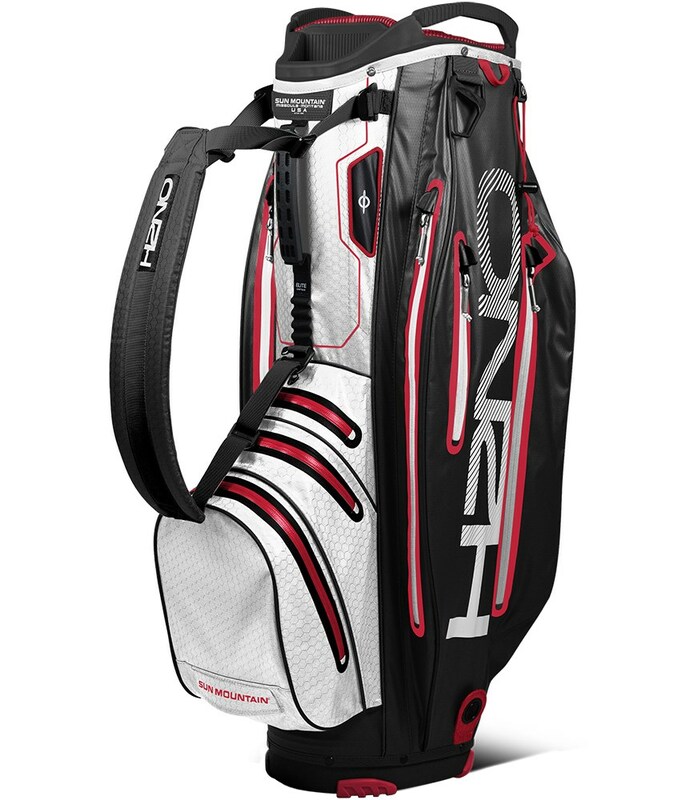 The full length dividers also prevent the grips from grabbing each other at the bottom of the bag. 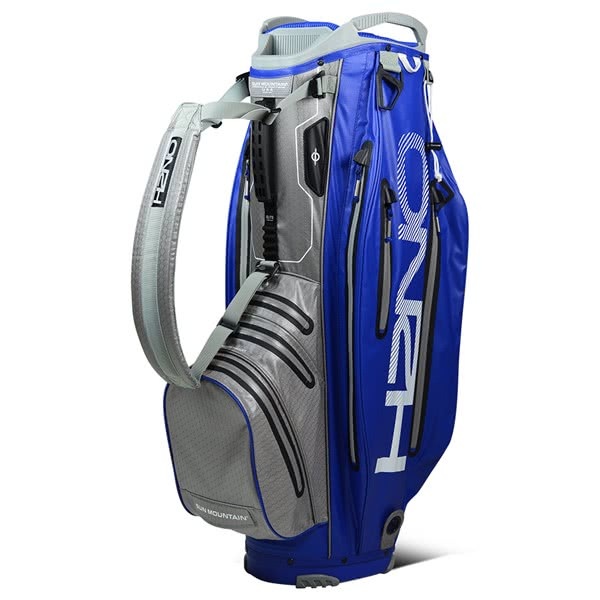 Integrated into the top design are two handles that make loading onto a trolley or simply lifting, much more comfortable. 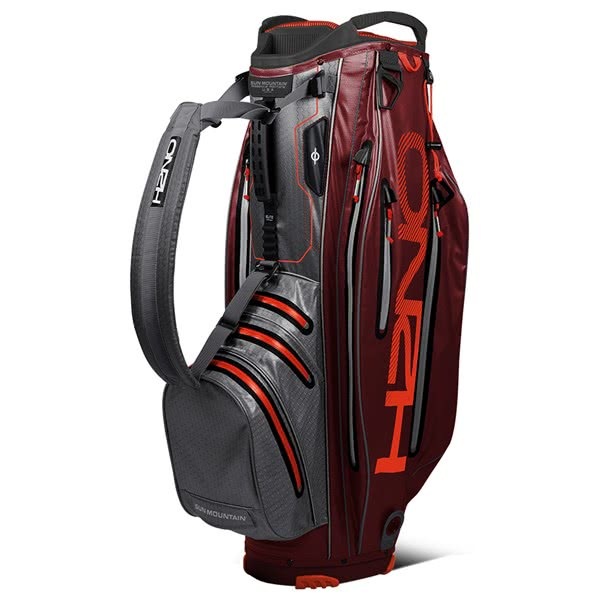 Sun Mountain have used a total of 8 pockets on the H2NO Elite Cart Bag, all eight of the pockets are easily accessible and deliver maximum storage room for everything you would ever need for 18 holes of golf. 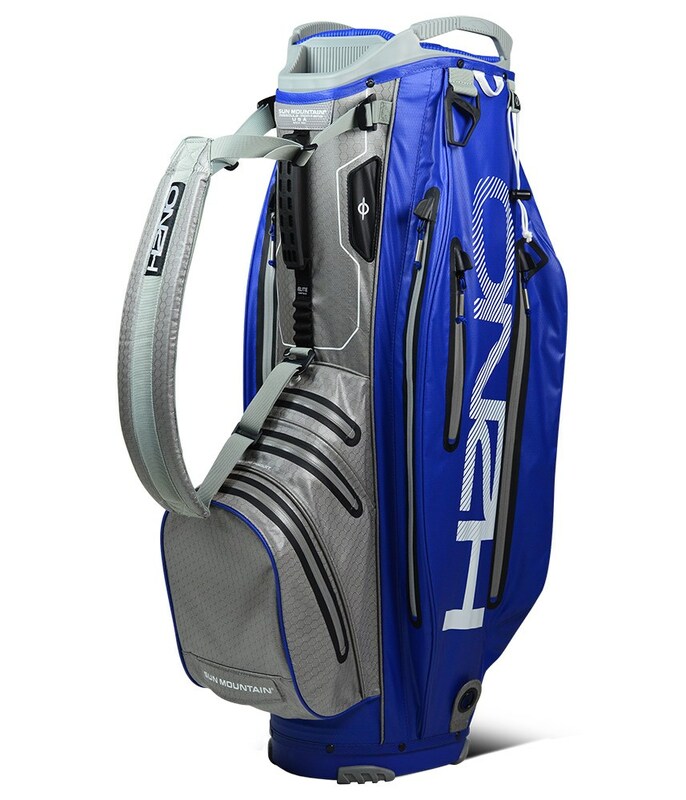 If you are lucky you may even find room in there for the kitchen sink! Yes, there really is that much room. 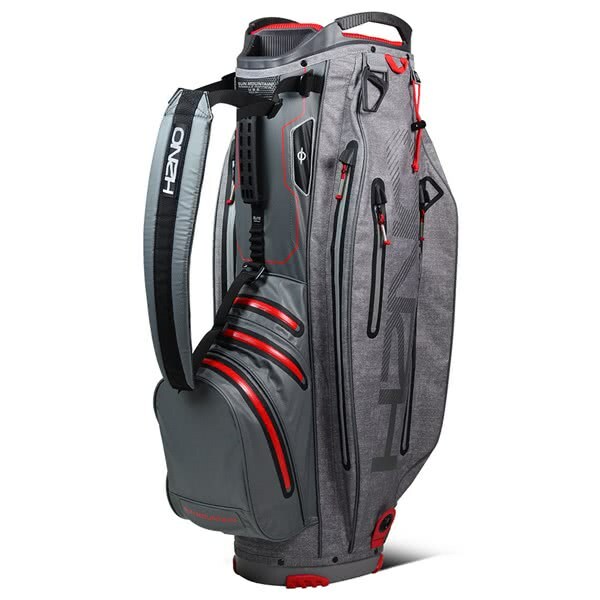 Other features on this premium golf bag include a pen, umbrella and towel holder, plus a glove patch and a matching rain hood.